Ok, anyway back to the story...so I have a lot going on in my mind and WAY more projects I wanna do than I will probably ever have time for..at ANY point in my life. I do make time for some projects, but occasionally I get too many in the hopper and feel overwhelmed. At the moment, I have the closet project, a new Ana White build (that I haven't even posted about yet! ), and 2 pieces of artwork....along with you know 50ish hours of "real" work a week and the normal laundry (when its utterly necessary....if you still have 2 pairs of undies then you're good in my book) and normal house work (and mopping every 6 months is the norm, right? )....so sometimes you I just need little updates/projects that provide instant gratification. 6 Pottery Barn Seagrass Dining Chairs in Havana Dark- ya'll know I have an unatural addiction to seagrass, right? by popping by the Pottery Barn Outlet once a week (and sometimes twice a week) on their truck day after work... I scored these 6 beauties (mind you one of them is out of the frame in this pic) for around 350 bones plus tax for all 6! So now we have 8 total dining chairs. The other 2 end chair lovelies I got for $65 each when the outlet had BOGO! Restoration Hardware Look-Alike Chandy- swoon!!! Restoration Hardware sells their Rectangle Shade Pendant for $595. Yikes. I LURVE it, but not like sell-a-kidney-on-ebay love it. This pretty lady came from Overstock...Gotta love the O price at $139 after a 20% coupon in my email. At $450 cheaper than the RH version I will definitely take it. This light is almost 4 feet long!!!! Thats a lotta light. I HEART it. And it's on poles....and you guys know how I feel about pole jobs. I can never decide on curtains. I liked the JCP ones, but they were $100 EACH! what!? no. I will bust out my sewing machine that has been in the box for the 10 years before I will pay $100 each. Then they ran a half off sale and I found a coupon code...so I snatched them up like I was a kid at an easter egg hunt. and you can't see them at all when you're standing on the ground (i mean where else would you stand, but you know what I meant.). So that's my little trick....now I really need to get a silver Sharpie out and do that nickel rod in the pic above this one. Hope my little trick helps someone. I hope to have a closet update soon. Peace out awesome readers. PS- please ignor the supa dirty dining room table....it will get cleaned....sometime. PSS- I purchased all of these items with my own monies...none were given to me or sponsored by anyone. PSSS- I am trying on new logos on my pics to cut down on them being stolen...it stinks like mustard lookin baby poo when someone claims a room in your house as theirs. K, the ecard made me laugh SO HARD. Because it's so true!!!!!!!!!! Your curtains are amazing. 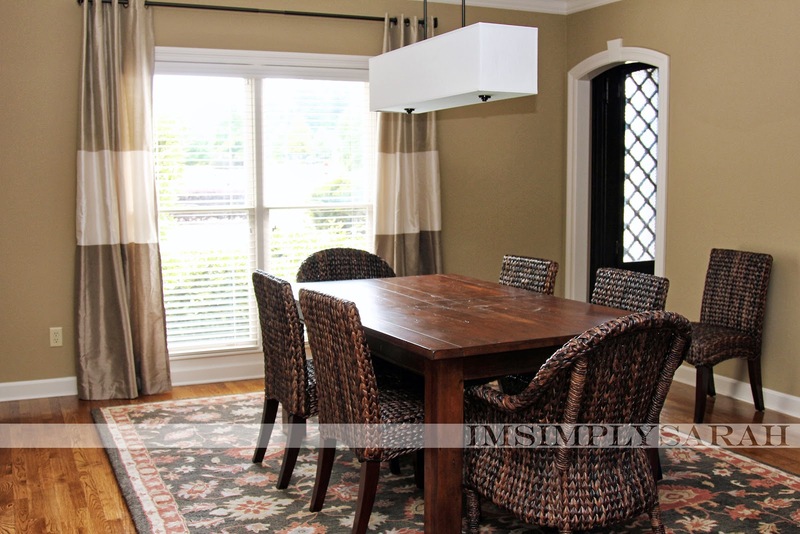 There's just something about adding curtains to a room. It's such an easy fix to a plain space. That ecard gets me every time!? I totally wish I could close some of the browser windows of my mind, but if one closes it just means like 2 more open! Thanks again for stopping by, your comments are always encouraging! Agreed, that ecard is the truth! 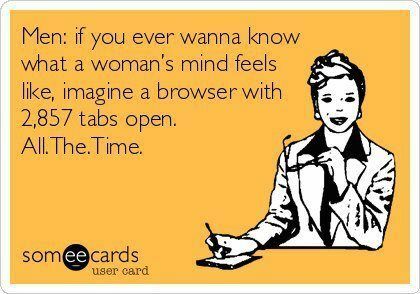 And I DO have a browser with a million tabs open, it makes my husband so mad! 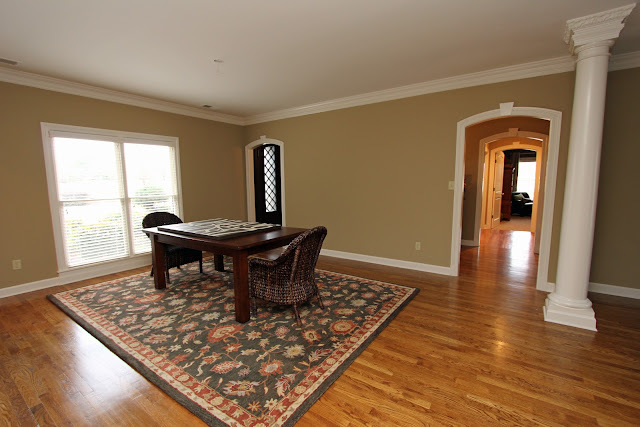 Anyways, this room looks great! I know right! When I talk now, my DH has learned to not even ask why that popped into my head. He knows its always churning in there...lol. Thanks for stopping by and the nice comment on my rooms progress!